As parents, we want our children to succeed at everything and that includes doing homework the best that they can. But often homework time turns into a battlefield. The ever-increasing demands from school put a lot of pressure not only on kids but on parents as well. Your child should know what’s expected from him. He will benefit from having a dedicated place for homework and reading activities. Also, discuss and agree on which assignments get done first (see homework checklist parenting tip below) and which get done afterwards together with your child. Consider using a timer to keep your child focused on a task. Keep your kid’s workspace free of toys and distractions. The room has to be well lit and quiet and that means no TV, radio, or phone calls while it’s homework time. You want to limit your child’s opportunities for distractions. You are your child’s role model. She is learning from you on how to deal with frustration and difficult emotions. So whenever you feel the frustration and emotions building, just leave the room and give yourself time to calm down. Take a few deep breaths, count down from 10, splash cold water on your face – whatever helps you to cool off. 5. Give Your Child Breaks In Between Homework. Most kids benefit from short breaks while doing homework. Agree with your child on how many breaks she can take and what she can do for the duration of her time off. Some kids enjoy active breaks such as jumping jacks or running around, others enjoy quieter rest, such as listening to music. 6. Use A Homework Checklist. 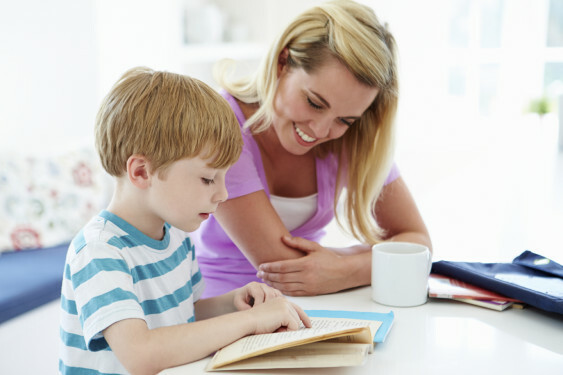 Teach your child to write out all the things he needs to do for the day in a homework checklist. Crossing things off the list is not only rewarding but also keeps him on track of what’s still outstanding. 7. Make Sure Child Does Her Own Homework. Homework is your child’s responsibility, not yours. Encourage independence and creativity during homework. However, when your child asks for help, provide assistance but don’t give answers. 8. Build In Rewards Or Incentives For A Job Well Done. Your kids need to know that after a job well done they can have their TV or electronics time, a play date with a friend, or a fun activity. 9. Give Specific Positive Feedback. Praise your child for a job well done or for completing homework independently. The priority should always be to establish and keep up positive and supportive relationship with your child. 10. Keep The Teacher Informed. Let the teacher know if your child’s struggling with a particular subject or a unit learned. A small note will let the teacher know to offer extra help on that subject. Which other strategies work for your and your child? Share below!